Explore Android's ongoing evolution with this visual timeline of versions, starting B.C. (before Cupcake) and going all the way to 2018's Pie. Android made its official public debut in 2008 with Android 1.0 — a release so ancient it didn't even have a cute codename. Things were pretty basic back then, but the software did include a suite of early Google apps like Gmail, Maps, Calendar and YouTube, all of which were integrated into the operating system — a stark contrast to the more easily updatable standalone-app model employed today. The Android 1.0 home screen and its rudimentary web browser (not yet called Chrome). With early 2009's Android 1.5 Cupcake release, the tradition of Android version names was born. Cupcake introduced numerous refinements to the Android interface, including the first on-screen keyboard — something that'd be necessary as phones moved away from the once-ubiquitous physical keyboard model. Cupcake also brought about the framework for third-party app widgets, which would quickly turn into one of Android's most distinguishing elements, and it provided the platform's first-ever option for video recording. Cupcake was all about the widgets. Android 1.6, Donut, rolled into the world in the fall of 2009. Donut filled in some important holes in Android's center, including the ability for the OS to operate on a variety of different screen sizes and resolutions — a factor that'd be critical in the years to come. It also added support for CDMA networks like Verizon, which would play a key role in Android's imminent explosion. 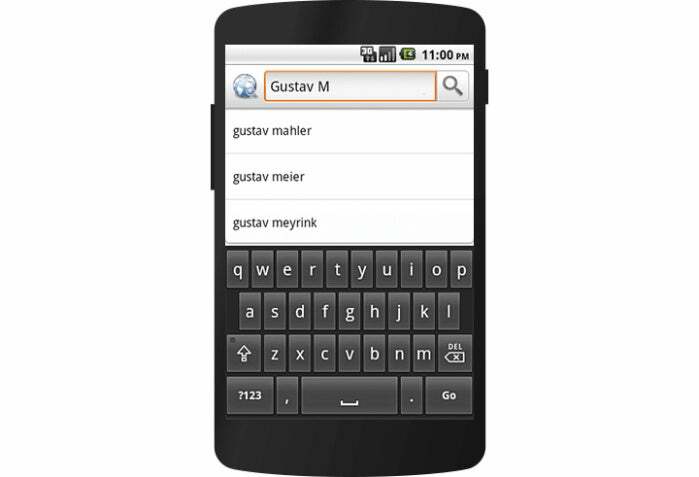 Android's universal search box made its first appearance in Android 1.6. Keeping up the breakneck release pace of Android's early years, Android 2.0 Eclair, emerged just six weeks after Donut; its "point-one" update, also called Eclair, came out a couple months later. 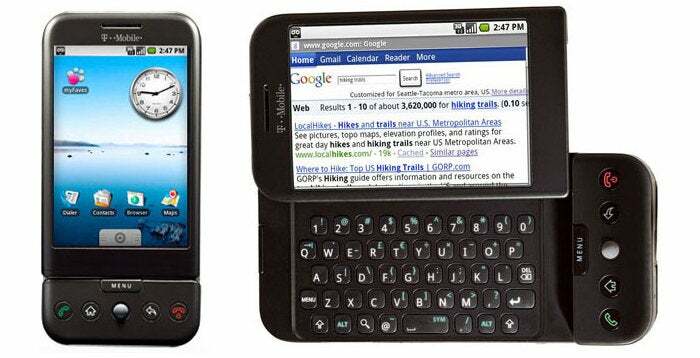 Eclair was the first Android release to enter mainstream consciousness thanks to the original Motorola Droid phone and the massive Verizon-led marketing campaign surrounding it. Verizon's "iDon't" ad for the Droid. The release's most transformative element was the addition of voice-guided turn-by-turn navigation and real-time traffic info — something previously unheard of (and still essentially unmatched) in the smartphone world. 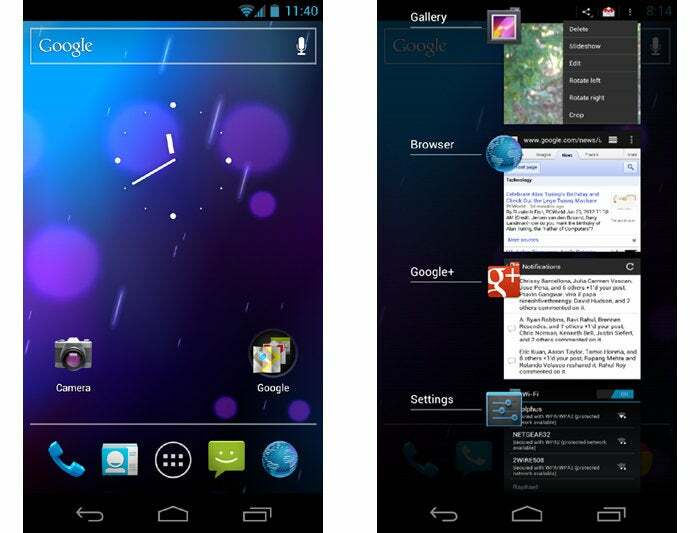 Navigation aside, Eclair brought live wallpapers to Android as well as the platform's first speech-to-text function. And it made waves for injecting the once-iOS-exclusive pinch-to-zoom capability into Android — a move often seen as the spark that ignited Apple's long-lasting "thermonuclear war" against Google. 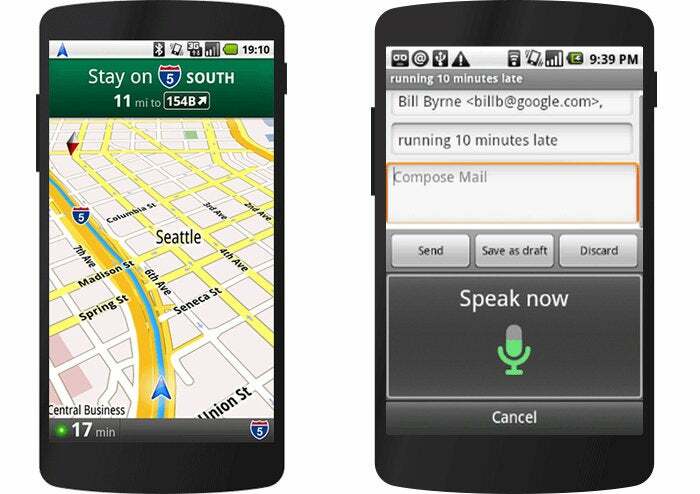 The first versions of turn-by-turn navigation and speech-to-text, in Eclair. Just four months after Android 2.1 arrived, Google served up Android 2.2, Froyo, which revolved largely around under-the-hood performance improvements. Froyo did deliver some important front-facing features, though, including the addition of the now-standard dock at the bottom of the home screen as well as the first incarnation of Voice Actions, which allowed you to perform basic functions like getting directions and making notes by tapping an icon and then speaking a command. Google's first real attempt at voice control, in Froyo. Notably, Froyo also brought support for Flash to Android's web browser — an option that was significant both because of the widespread use of Flash at the time and because of Apple's adamant stance against supporting it on its own mobile devices. Apple would eventually win, of course, and Flash would become far less common. But back when it was still everywhere, being able to access the full web without any black holes was a genuine advantage only Android could offer. Android's first true visual identity started coming into focus with 2010's Gingerbread release. Bright green had long been the color of Android's robot mascot, and with Gingerbread, it became an integral part of the operating system's appearance. 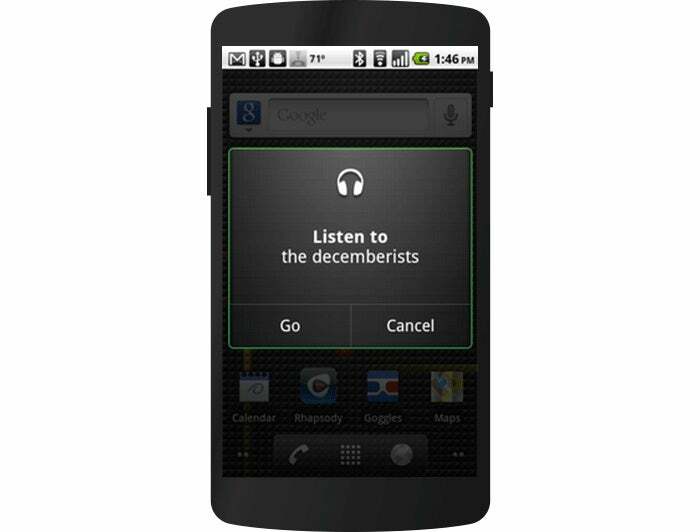 Black and green seeped all over the UI as Android started its slow march toward distinctive design. It was easy being green back in the Gingerbread days. 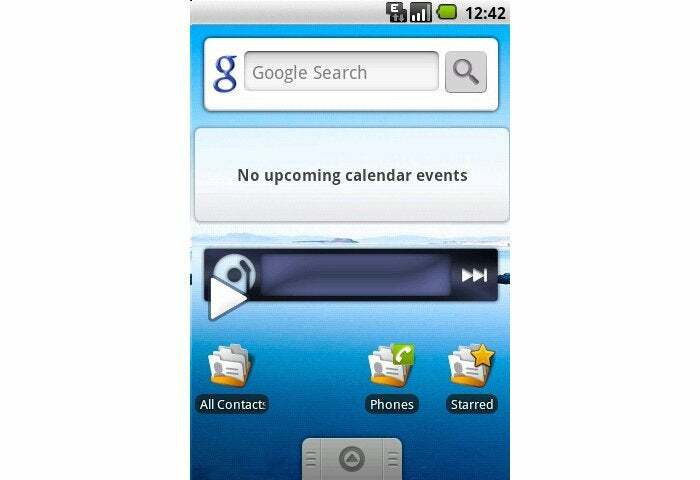 2011's Honeycomb period was a weird time for Android. Android 3.0 came into the world as a tablet-only release to accompany the launch of the Motorola Xoom, and through the subsequent 3.1 and 3.2 updates, it remained a tablet-exclusive (and closed-source) entity. Under the guidance of newly arrived design chief Matias Duarte, Honeycomb introduced a dramatically reimagined UI for Android. It had a space-like "holographic" design that traded the platform's trademark green for blue and placed an emphasis on making the most of a tablet's screen space. Honeycomb: When Android got a case of the holographic blues. 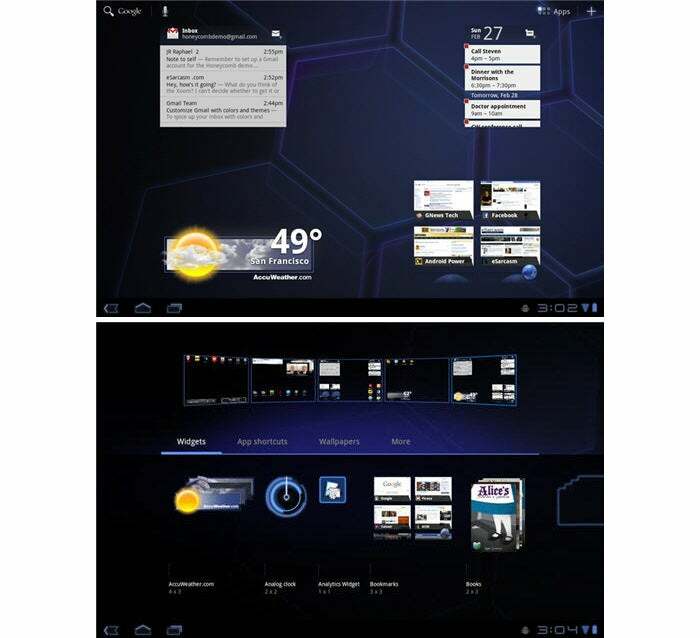 While the concept of a tablet-specific interface didn't last long, many of Honeycomb's ideas laid the groundwork for the Android we know today. The software was the first to use on-screen buttons for Android's main navigational commands; it marked the beginning of the end for the permanent overflow-menu button; and it introduced the concept of a card-like UI with its take on the Recent Apps list. With Honeycomb acting as the bridge from old to new, Ice Cream Sandwich — also released in 2011 — served as the platform's official entry into the era of modern design. The release refined the visual concepts introduced with Honeycomb and reunited tablets and phones with a single, unified UI vision. 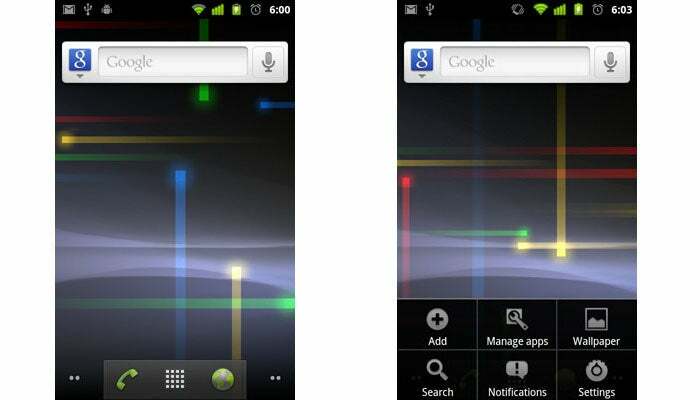 ICS dropped much of Honeycomb's "holographic" appearance but kept its use of blue as a system-wide highlight. And it carried over core system elements like on-screen buttons and a card-like appearance for app-switching. The ICS home screen and app-switching interface. Android 4.0 also made swiping a more integral method of getting around the operating system, with the then-revolutionary-feeling ability to swipe away things like notifications and recent apps. And it started the slow process of bringing a standardized design framework — known as "Holo" — all throughout the OS and into Android's app ecosystem. Spread across three impactful Android versions, 2012 and 2013's Jelly Bean releases took ICS's fresh foundation and made meaningful strides in fine-tuning and building upon it. The releases added plenty of poise and polish into the operating system and went a long way in making Android more inviting for the average user. Visuals aside, Jelly Bean brought about our first taste of Google Now — the spectacular predictive-intelligence utility that's sadly since devolved into a glorified news feed. It gave us expandable and interactive notifications, an expanded voice search system and a more advanced system for displaying search results in general, with a focus on card-based results that attempted to answer questions directly. Multiuser support also came into play, albeit on tablets only at this point, and an early version of Android's Quick Settings panel made its first appearance. Jelly Bean ushered in a heavily hyped system for placing widgets on your lock screen, too — one that, like so many Android features over the years, quietly disappeared a couple years later. Jelly Bean's Quick Settings panel and short-lived lock screen widget feature. Late-2013's KitKat release marked the end of Android's dark era, as the blacks of Gingerbread and the blues of Honeycomb finally made their way out of the operating system. Lighter backgrounds and more neutral highlights took their places, with a transparent status bar and white icons giving the OS a more contemporary appearance. Android 4.4 also saw the first version of "OK, Google" support — but in KitKat, the hands-free activation prompt worked only when your screen was already on and you were either at your home screen or inside the Google app.